Dark Matter, placebos for sale, social justice, SpaceX and more! Dark Matter misconception? - Our resident “rocket scientist” weighs in. Placebo Mart - Wares for people who believe it’s all in your mind. Rationalism in a world of unfairness - How can Skeptics build a better world? 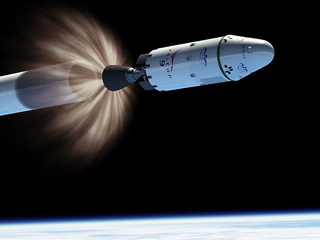 SpaceX.com — I became mildly interested in Space Exploration Technologies (SpaceX) a few years ago. The idea of commercial space vehicles capable of what only a handful of governments have been able to accomplish was fun to think about, but the actual reality of it didn’t really sink in for me until last months successful launch of a real-deal mission. It should have. This wasn’t the first successful launch by the company, but it was the first mission that demonstrated its viability, as real player, in what had previously been a government-only enterprise. What did SpaceX do? It launched its own low-orbit vehicle, Dragon, a free-flying, reusable spacecraft, atop of a Falcon 9 rocket, also built exclusively by SpaceX, with a payload destined to successfully rendezvous and attach to the International Space Station. It carried supplies for the space station and returned to Earth with cargo from the station. After a few days delay because of an initial last-second glitch, the entire mission from lift-off to return went off without a problem. With my interest finally piqued, I started exploring the SpaceX.com site. And there’s a lot there. The goal of the company is to create a less-expensive, viable alternative to government-run programs, by engineering and building most parts of the space vehicle in-house, using existing and new technologies. 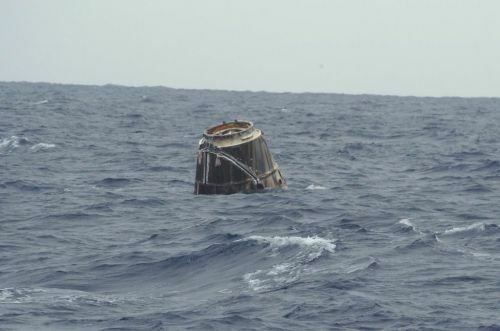 They include manned missions as a part of their plans, as well as a more cost-effective commercial and defense mission capability than the government can produce, with a plan for making all parts of the spacecraft safer and fully reusable. Quite a goal! 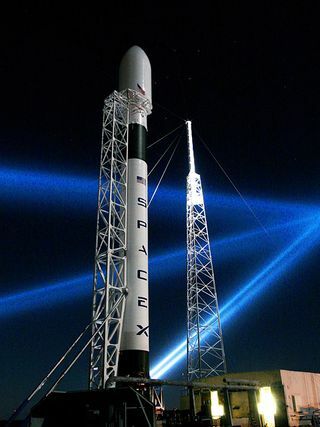 Established in 2002 by Elon Musk, the founder of PayPal and the Zip2 Corporation, SpaceX has already developed two brand new launch vehicles, established an impressive launch manifest, and been awarded COTS funding by NASA to demonstrate delivery and return of cargo to the International Space Station. Supported by this order book and Mr. Musk’s substantial resources, SpaceX is on an extremely sound financial footing as we move towards volume commercial launches. A couple of things are clear. With the retirement of the Space Shuttle, right now, SpaceX is the only game in town (the USA) for delivering heavy goods into space and returning again. And unless I’m very much mistaken, it’s my guess that SpaceX, in cooperation with NASA, along with some other privately-owned companies, represents our future in space travel, like it or not. So get used to it. SpaceX is already delivering on its promise. And that was brought home to me by its recent visit to the International Space Station. SpaceX.com is an interesting and valuable resource. And I have to tell you, if you just stay for the photos and the videos, it’s still worth the price of admission. SpaceX.com is a glimpse at our future in space travel. Wednesday: We started out discussing loans, the ethicalness of bankers’ practises and collection agencies. Eyewitness reports, some of them are shady… Having licenses are important if you do work in a field in which licenses are required. We also discussed immigrant labor, how much tax an illegal alien pays, and how much of a tax liability they are. Actually, a lot of time was spent discussing illegal aliens. The upcoming TAM and what is going to happen there, what to expect. Penn Jilette will be performing (perhaps like this) with his band. By the end of the chat we moved on to the sexual-harassment controversy. HalfMooner dropped by just as we started to close down for the night. Explorers reveal bit of Baltic sea floor mystery. Lots of hype, little substance. Merchants of Doubt: How a Handful of Scientists Obscured the Truth on Issues from Tobacco Smoke to Global Warming, by Naomi Oreskes and Erik M. M. Conway. There were 8,062 daily visitors this week.